This article, written by Wolfgang Kuhlner, was first published by the German Institute for Foreign Relations. "Ala kachuu" is Kyrgyz and translates as "Grab her and run". What sounds like an entertaining popular sport is actually the widespread practice of kidnapping women and forcing them into marriage. With her initiative "Ala kachuu is not cool!" Kyrgyz Svetlana Dzardanova is taking a stand against the alleged custom. In 2017 Deutsche Welle – Germanyʹs international broadcasting company – reported that every 30 minutes a woman in Kyrgyzstan is abducted and forced into marriage. The fact that young women are being dragged into cars in broad daylight, usually by several men, and brought to their future husband's parents' house is not regarded as a crime by many Kyrgyz, but rather as the preservation of a tradition. A look into the past reveals, however, that the custom never existed in this specific form. Only with the collapse of the Soviet Union at the beginning of the 1990s, the associated socio-political upheaval and the spread of poverty was there a sharp rise in the number of bride abductions in Kyrgyzstan. Without doubt there had been abductions before, but to a much lesser extent. In the magazine "Human rights for women", published by the women's rights organisation Terre des Femmes, author Anja Heifel sees this as an expression of wrongly understood masculinity and the subordinate gender role of women. In her opinion, the custom serves as a boredom alleviator in the everyday life of young men of marriageable age – "entertainment" at the expense of young women. "A good marriage begins with tears"
The paradox of "Ala kachuu": even the female family members of the kidnapper, who have often been forced into marriage themselves, become perpetrators during this patriarchal practice. It is their job to persuade the abducted woman in the kidnapper's house to agree to the marriage. The "bride" often hardly knows her kidnappers, if at all. She is detained and in some cases even raped. A return to the parents' house, on the other hand, becomes impossible after spending one night in the house of the unknown man. The social stigma would be too grave. Women therefore often do not contradict their fate. Despite the fact that even in independent Kyrgyzstan forced marriage is an offence punishable by law, such deprivation of liberty rarely ends in criminal prosecution. A Kyrgyz proverb sums up this impotence: "A good marriage begins with tears". Svetlana, former participant in ifa's CrossCulture Programme, refuses to accept this understanding of gender roles. Especially since she came frighteningly close to "Ala kachuu" during her studies in the Kyrgyz capital Bishkek, when several young men tried to kidnap her friend and roommate. "On television, bride abduction seems far away from one's personal fate. But when it happens in your immediate proximity, it changes how you think. It really got to me," Svetlana remembers. Together the two students managed to dissuade the kidnappers from carrying out their plan. However, the uncomfortable feeling stayed. "The tragedy of this story is that my roommate actually married her kidnapper a few months later", says Svetlana. Since then, all contact has been lost between the two friends. There should be no future for bride abduction in Kyrgyzstan. Of that, Svetlana is convinced. With her project "Ala kachuu is no cool!" she has set herself the goal of convincing young people to acknowledge bride abduction for what it really is: a crime. In her opinion, it is essential that both young women and their parents become aware of their rights, duties and responsibilities. 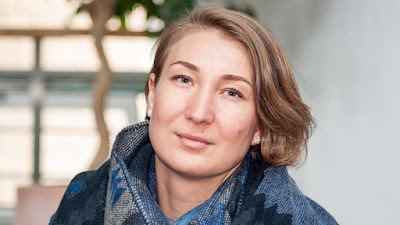 In order to establish common ground, Svetlana gathered various experts around a round table: human rights representatives, scientists, journalists, religious scholars and interested citizens exchanged information about legal bases and existing local projects and thus contributed to clarifying the role of politics and media. Based on the results of the expert discussion, Svetlana and some supporters organised a four-day training course for school children from the suburbs of the Kyrgyz capital Bishkek. Guided by expert instructors, the students discussed stereotypical gender roles that can take the form of discrimination or domestic violence. Almost all participants brought personal experience to the workshop. Many of them knew kidnap victims personally or even men involved in a kidnapping. During the workshop they had the opportunity to exchange their experiences. By the end of the training course many participants were convinced that they did not want to participate in an abduction and would even seek to protect people at risk. In addition to the workshop, Russian and Kyrgyz information brochures were produced and distributed in more than 40 schools and seven cities across the country. The brochures are particularly intended to target younger boys and girls, informing them about the alleged custom "Ala kachuu". At one point the number 155 can be read in large letters. The number represents the article of the Kyrgyz Penal Code that states that the abduction of a woman with the intention of marriage may carry a prison sentence of five to seven years. "Let the criminal know this!" is the demand in the brochure. "The article is public, which means that every witness – not just the victim – has the right to report the crime." A short story published by the initiative has also attracted a lot of attention. In a two-minute animated film, the young Kyrgyz woman Erkinay finds herself on an emotional rollercoaster: despite being engaged to her partner Akjol, she is unable to defend herself against kidnapping. In the end, it takes the combined efforts of the police, her parents and her friends to free her. The film reached more than fifty thousand young people via social media, prompting much discussion in the appropriate channels. Looking back, Svetlana is delighted with the tangible results and the success of her commitment: "It is a great feeling to see people watching our film or holding the brochure in their hands and reacting to it." "Only recently, a partner organisation in Bishkek supported us in printing our story in larger quantities. Now we have about 2,000 copies, which is fantastic," Svetlana says happily. "I hope that this is just the first step for me in offering solutions to this societal issue." Svetlana is particularly proud of the fact that news of her project has reached human rights activists in the neighbouring country of Kazakhstan. There too "Ala kachuu" is a well-known issue. They are now aiming to distribute her information brochures and launch their own campaign against bride abduction.